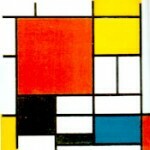 Home / Piet Mondrian: the artistic inspiration. 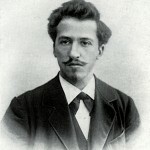 Piet Mondrian: the artistic inspiration. 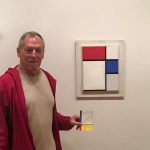 Comments Off on Piet Mondrian: the artistic inspiration. The X•Y Chart helps the learner love math for its own sake. It is anything but another attempt to dumb down the learner through silly techniques like making the numbers into cute animals or cartoon characters. 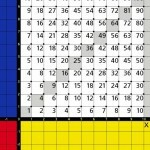 At one point in the design process of this new multiplication table, very near the end, the artists presented a chart exactly like the finished product, but, following the specs, it was black and white, just as a Cartesian coordinate system would appear in an algebra textbook. It was a cold, harsh image. I suddenly changed my mind. I would compromise. “OK. Let’s give it some color.” “How should we color it?” the two Bauhaus trained artists asked. “Mondrian?” I replied. Bingo! We had the color scheme. Piet Mondrian loved simple geometry and basic colors. These colors coupled with the connect-the-dot drawings supply entertainment that our intelligent math students appreciate. All of our multiplication learners are naturally intelligent in math. X•Y Charts © 2019. All Rights Reserved.